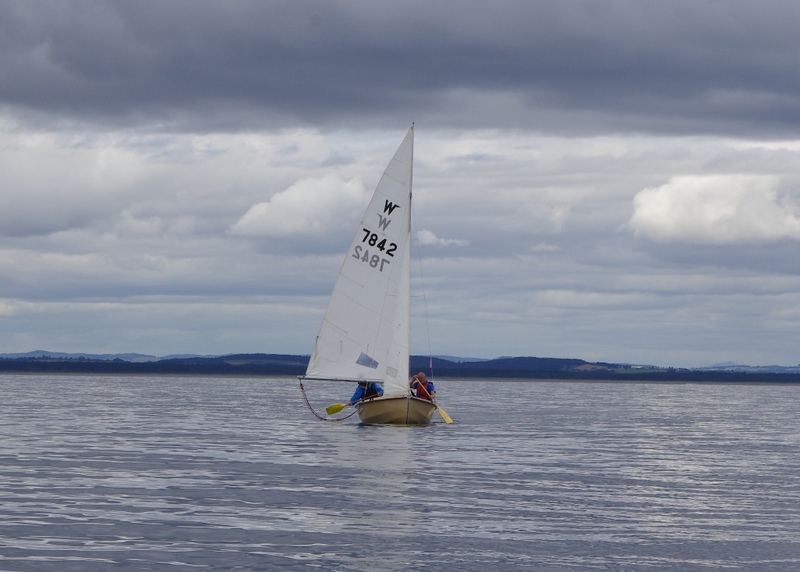 3 wayfarers, accompanied by the safety boat, emerged from the Tay estuary on Friday for a voyage south to join the Anstruther Muster. 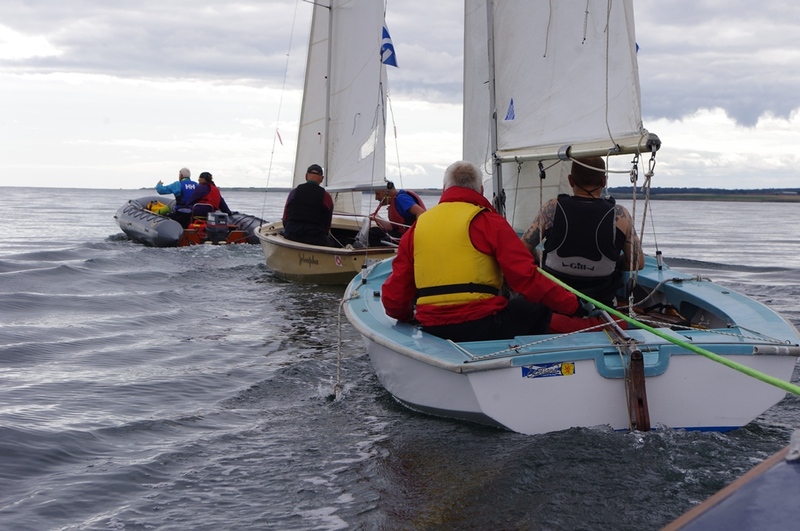 As it was considered a bit risky it wasn’t offered as a general club event, though could be considered more widely next year. 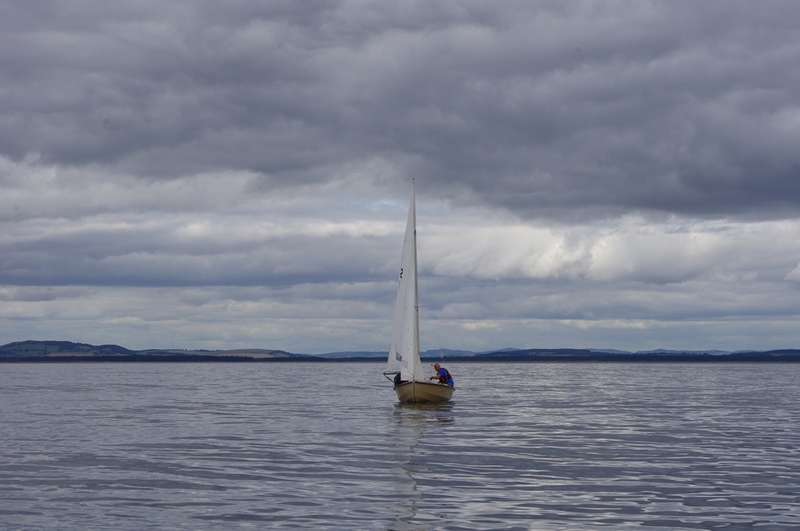 It was a bit of calm between the storms with light winds providing a gentle passage, initially through the pool at Tentsmuir with a large herd of seals splashing inquisitively about the boats. 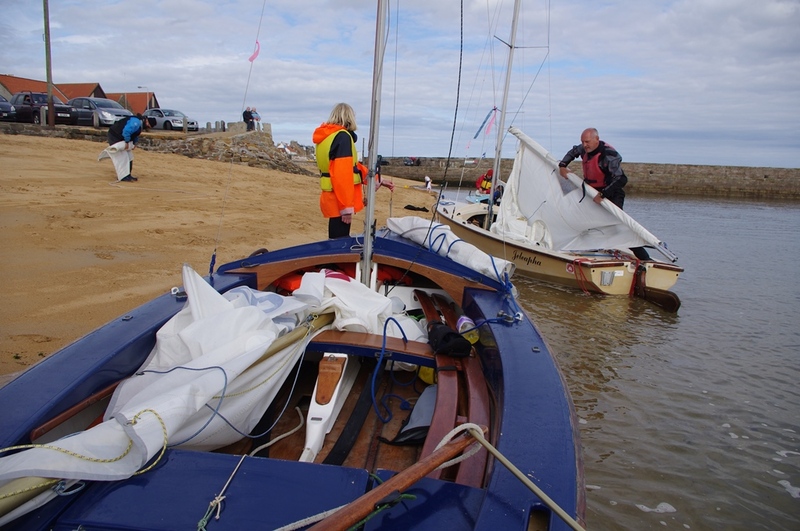 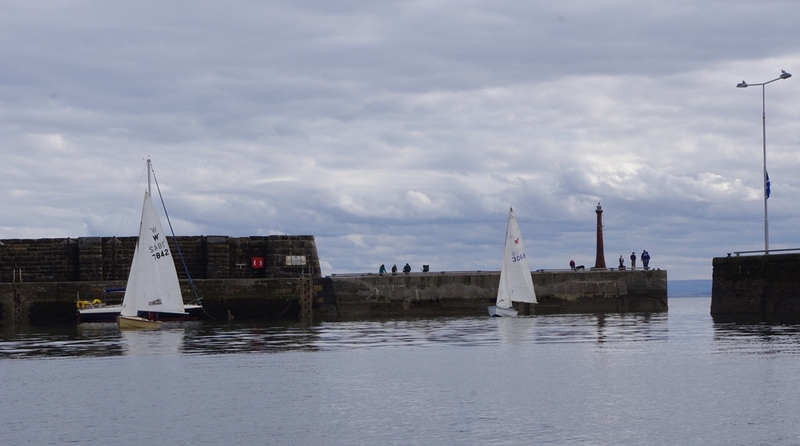 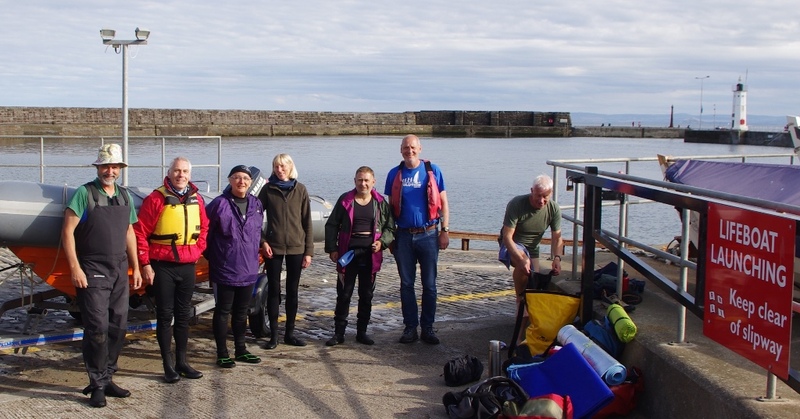 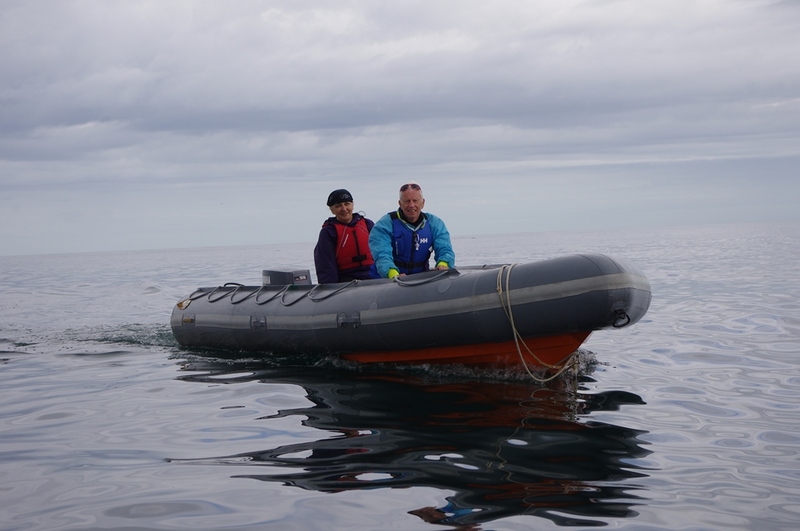 The following wind died opposite St Andrews while crossing St Andrews Bay so, after a bit of paddling, the safety boat towed the boats past Kingsbarns before discovering a southerly breeze near Fife Ness. 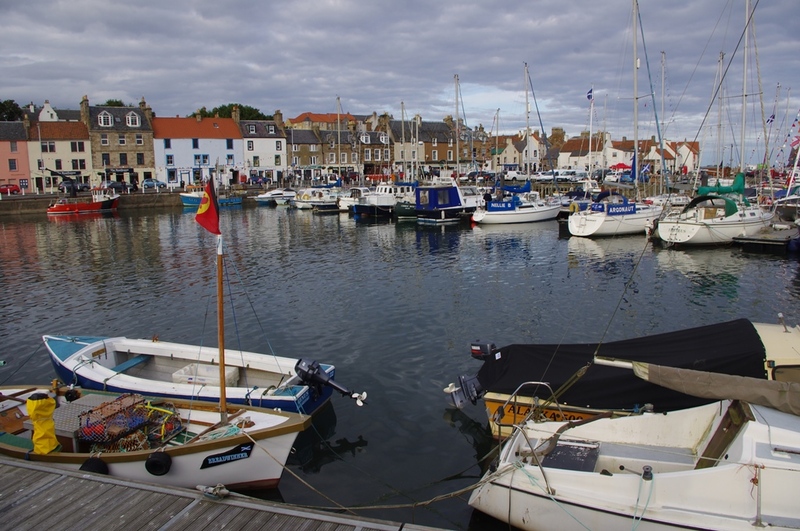 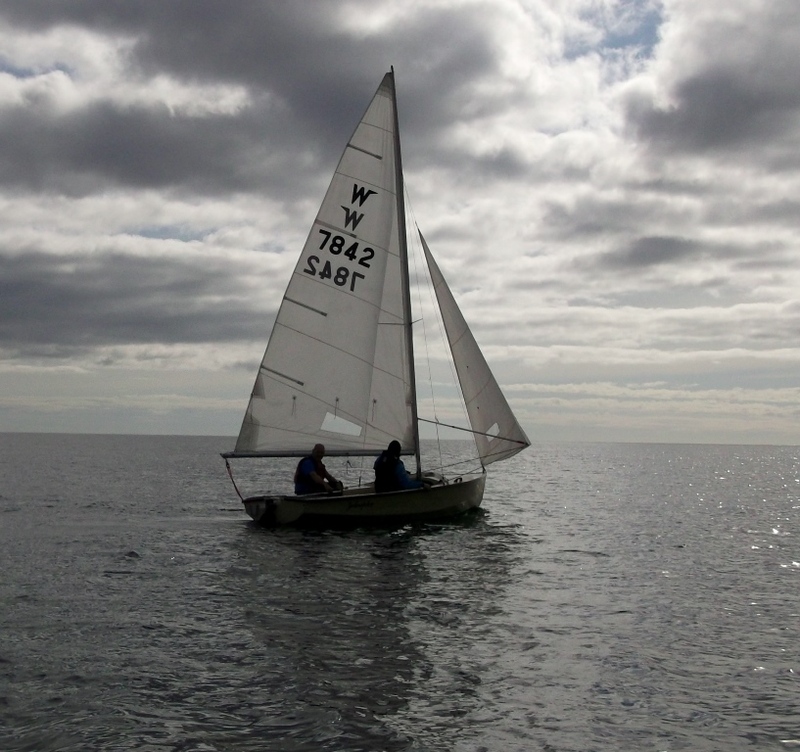 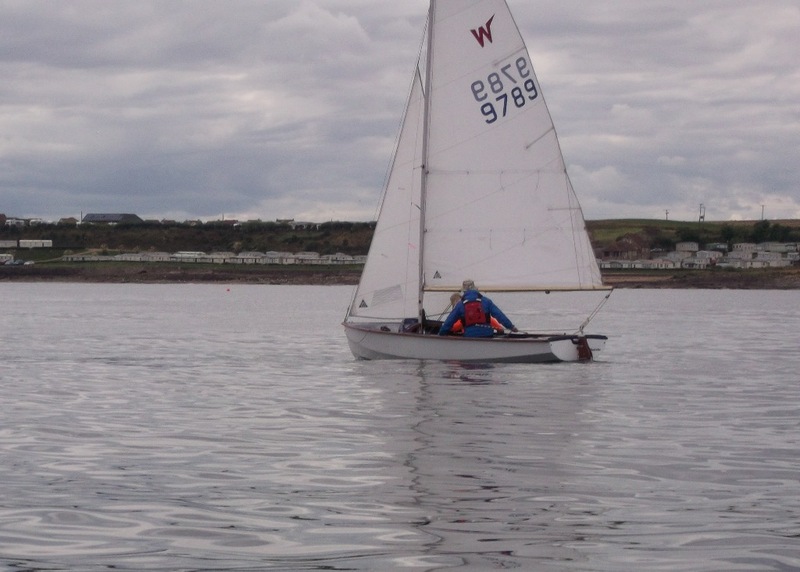 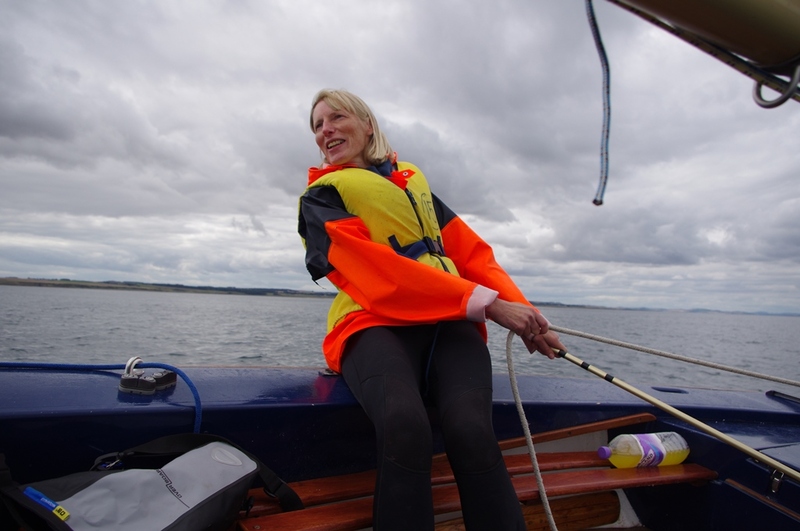 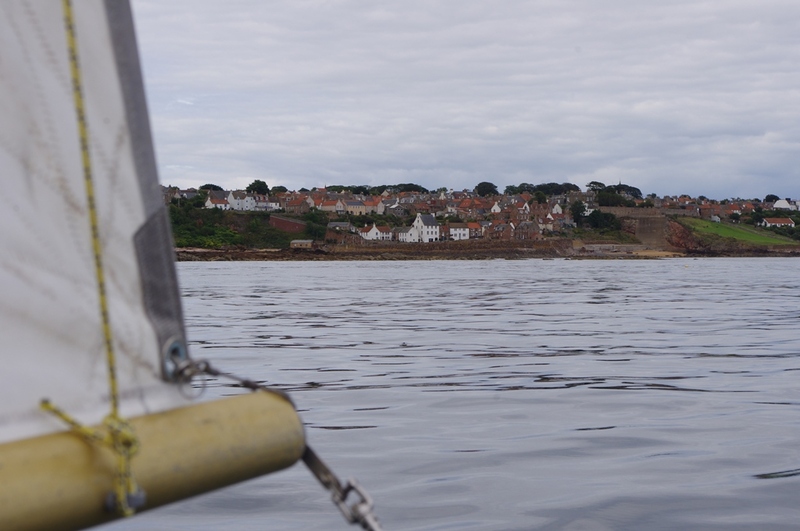 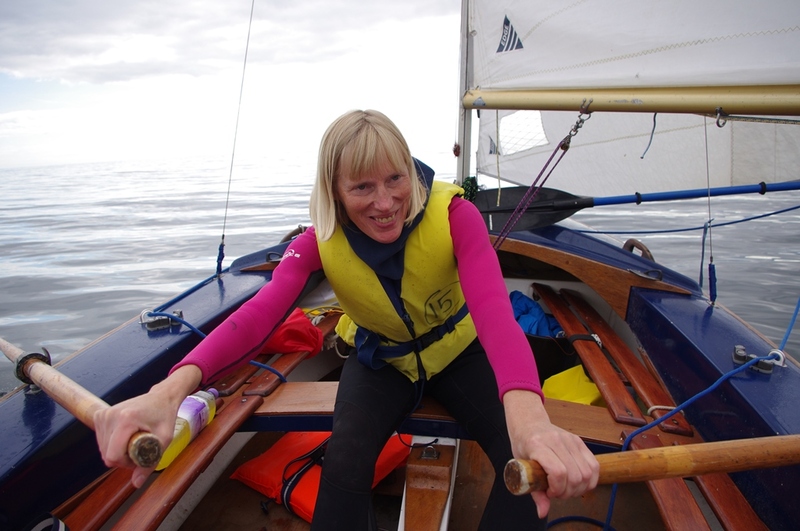 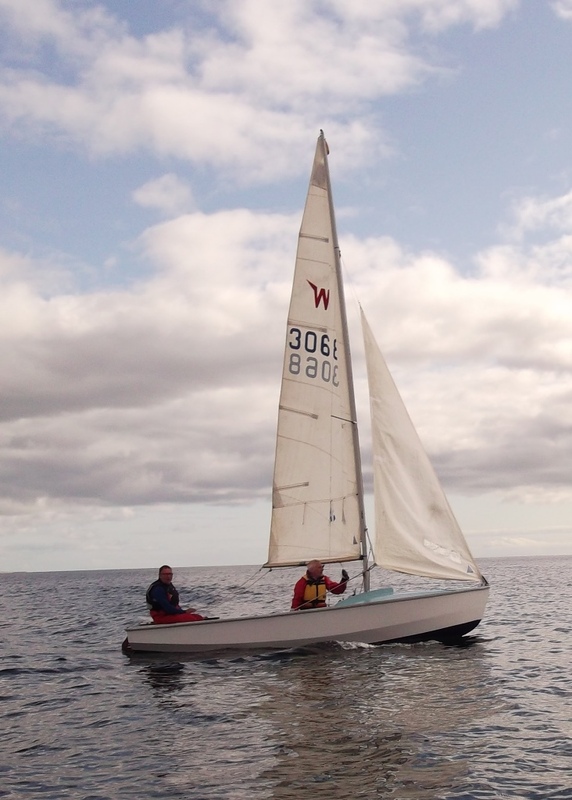 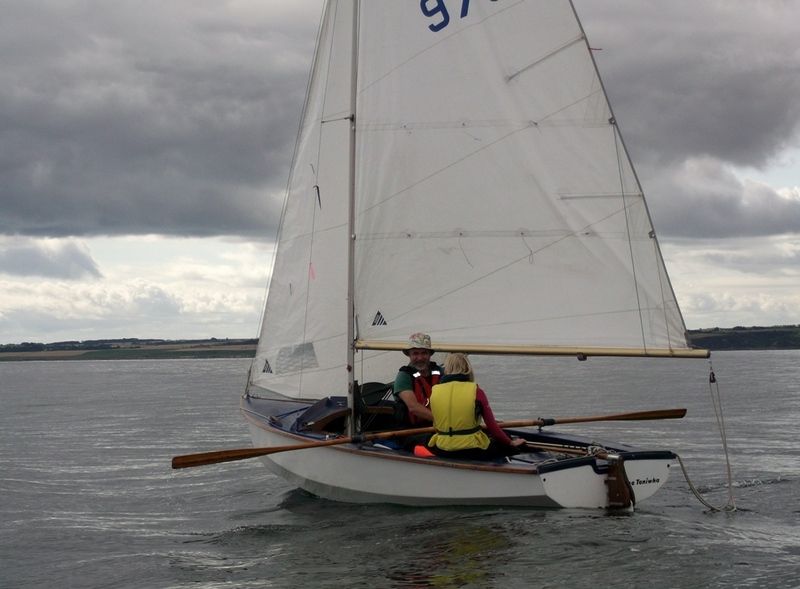 Tacking around Fife Ness, a pleasant sail ensued into a SW breeze along the coast past Crail to Anstruther. 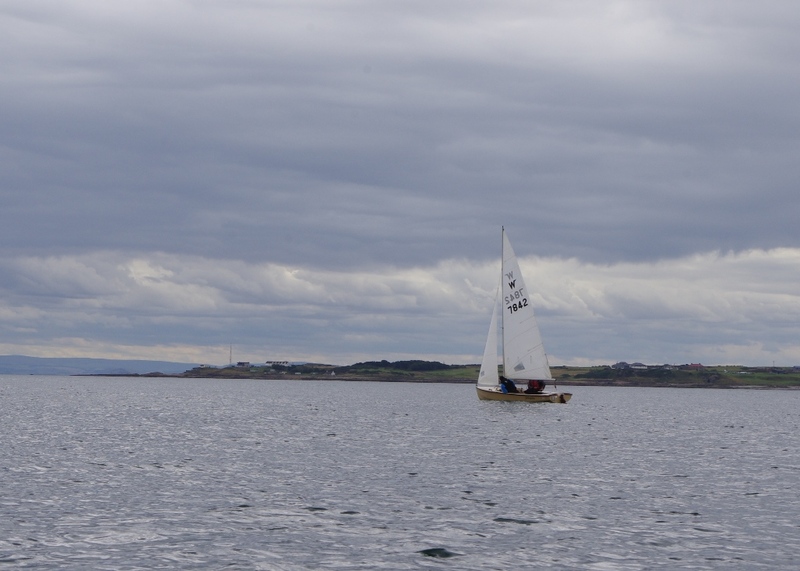 The trip took 7 hours. 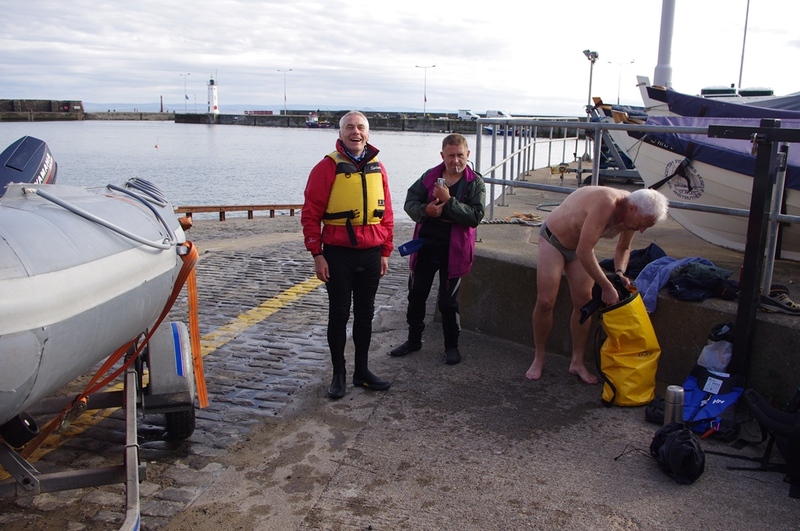 We were provided a mooring on a pontoon in the inner harbour with “the big boats” though, unaccustomed to such luxuries, we sustained our only injury from a mis-timed leap from a boat onto the pontoon. 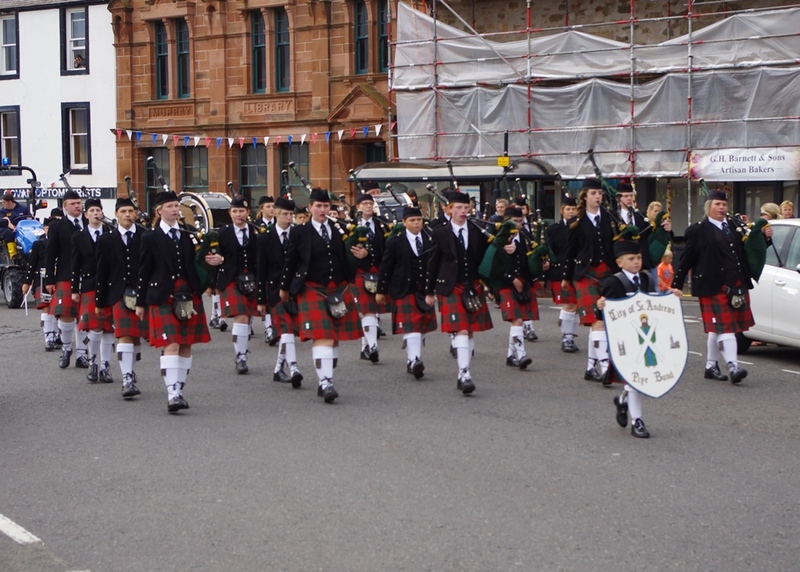 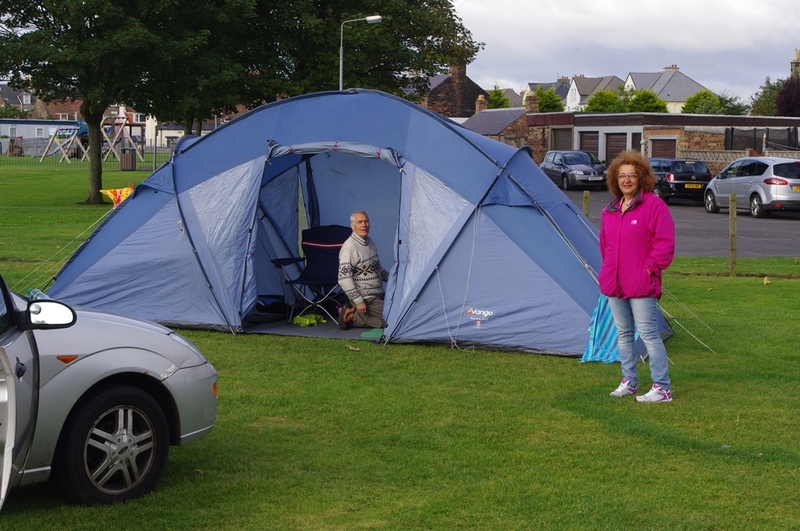 Most stayed and enjoyed the local scenery and watering holes for the weekend, though the festival was unlucky with the subsequent high winds blighting the event. 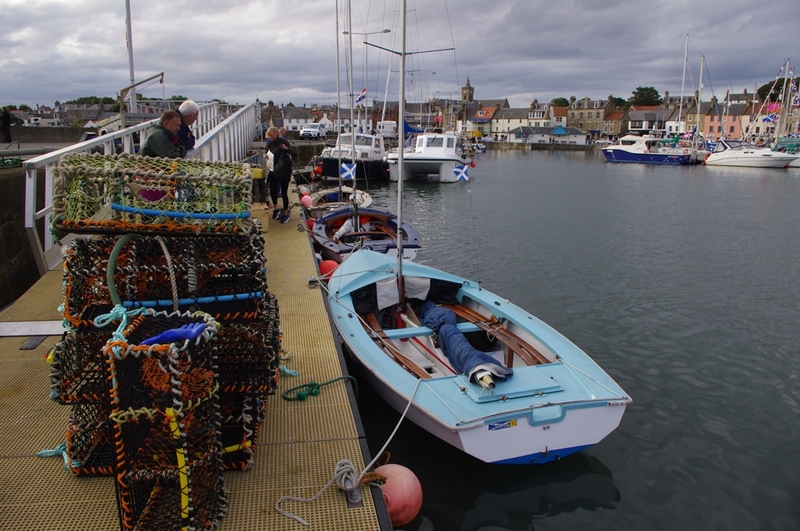 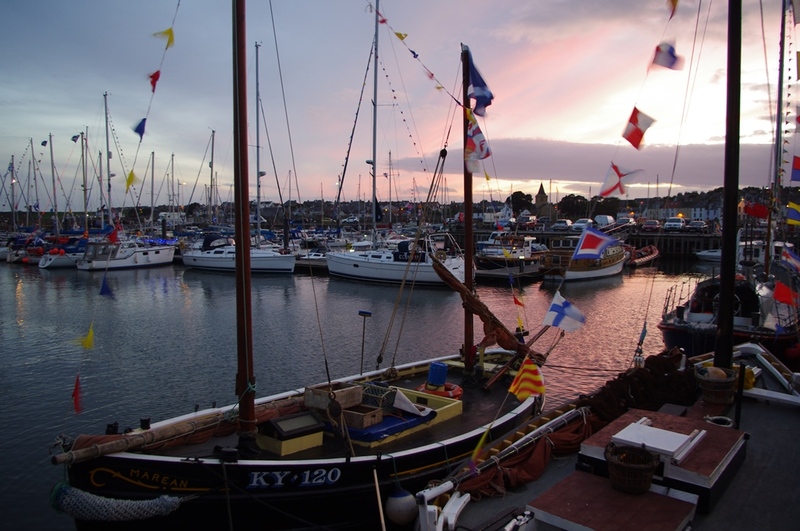 It also made a return trip too hazardous so boats were all returned to Dundee by trailer. 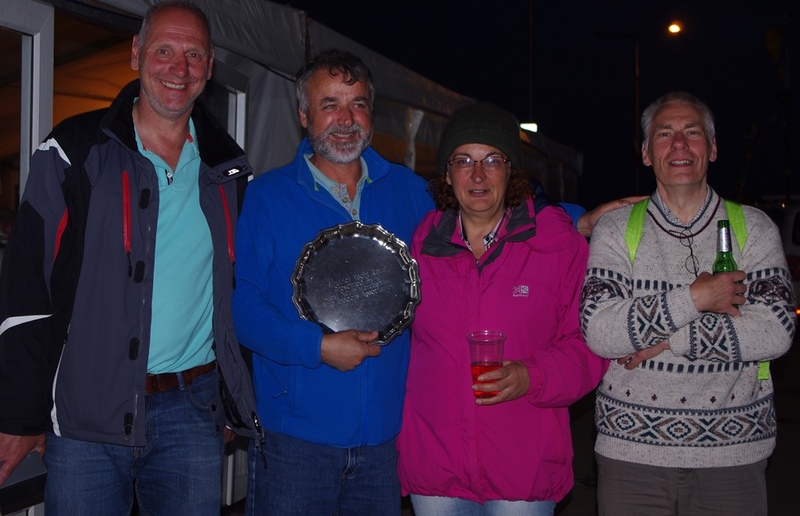 Not before Dundee Sailing Club won the coveted “Smallest Boat” category for the intrepid voyage south, complete with trophy!